Hope y'all are having a great day. Welcome to an all new author Q&A session, and today we have Jason Denzel, the YA debut writer, who has introduced his readers an d fans with an exciting new series called, Mystic. Let's talk with this talented new author to know more about his background, his new book and his life beyond books and all. Me: Hello and welcome to my blog, Jason. Congratulations on your new book, Mystic. How will you express your feelings about this book that has already won the hearts of so many readers? Jason: Thank you for inviting me to participate in this interview. Mystic is my debut novel, so the whole experience of having abook published is still very surreal to me. I came up with the original idea around 12 years ago, so to have it finally available for people to read is lovely. Me: What was your source of inspiration for this story? Jason: Many factors contributed to the origins of this book. I enjoy hearing the classic tales of students who seek out kung-fu masters or mysterious monks living in atop mountains. I wanted to explore that idea, as well as the idea of what it would be like to combine eastern spiritual ideas with characters that exhibit modern, western ideals. Me: How did you research for this book? Jason: I studied eastern spirituality, and did a lot of research into irish folklore and mythology. I didn’t want to just cramp those ideas together, but rather, I sought to let myself soak in those ideas and see what ideas naturally arose from it. Me: Tell us one trait of Pomella that intrigues you that most. Jason: One trait that I really admire in Pomella is her unexpected courage. Pomella wouldn’t necessarily consider herself brave, but she has a lot of heart, and makes difficult choices. She’s a passionate young woman, and very often she’s reactive, which usually ends up hurting her. Mostly, I wanted her to seem like a regular sixteen year old girl who makes the difficult decision to follow her dreams. Me: How will you describe your journey as an author? Jason: My path to traditional publication was different from other people’s. I’ve always had an interest in writing and telling stories. As a child that manifested in a variety of short stories, and then it evolved into making short films. By the time I was more settled in life and had started a family, I’d come full circle and was interested in writing books. I run a popular fan community for Robert Jordan’s Wheel of Time book series, and that certainly opened doors for me in the industry. Me: Was it always your one true dream to be an author? 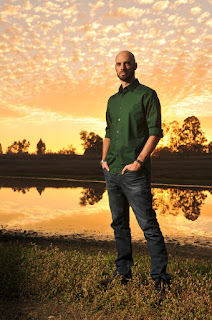 Jason: I wouldn’t necessarily say it was my deepest desire to become a published author all of my life. I knew I wanted to be doing creative work at a professional level, and I knew I wanted to share that creative work with as many people as possible. I love writing, and I’m honored that my publisher sees value in releasing my books. I’ll continue to do that for as long as I’ around, but I also hope to pursue other creative mediums (like filmmaking) again sometime. Me: What are your other passions apart from writing? Jason: I love the outdoors. Being in nature recharges me. I love to hike and simply experience the wonder of our amazing planet. I’m also a total astronomy nerd. I read everything I can about black holes, Jupter’s moons, planetary rovers, gravitational waves, interstellar travel, and so on. Me: What do you do to get away from the stress of writing? Jason: I do a lot of things to try and unwind from my often overactive mind. Every now and then I’ll unplug from writing by getting lost in a video game of some kind. I love RPG’s, but lately I’ve found that I’m even more drawn to games where I don’t need to think. RPG’s are wonderful, and some of the best storytelling around is found within them. But these days my head is so full of plot details and character arcs for my own stories that I find I don’t have much more room for more complicated world and ideas. So games like Angry Birds become simple escapes. So I stay active with my body, I practice kung-fu. Not only is it a great whole-body workout, but it’s a great way to let my mind find focus. I began this practice almost five years ago, and I’m about one year away from earning my black sash. I particularly enjoy weapons training and sparring. And lastly, to get away from not just writing, but from anything complicated or stressful in my life, I meditate. I’m don’t have a perfect record, but I try to find fifteen minutes each day (usually in the evening before I sleep) to sit on a cushion and go within myself. The more I do it, the more I find myself able to stay focused and non-reactive during the day when I’m bombarded by things I need to deal with. Me: What's next up on your writing sleeves? Please tell us briefly about it. Jason: Right now I’m hard at work on the two Mystic sequels, Mystic Dragon and Mystic Skies. The focus is on Dragon right now because that’s the second book, but so much of what happens in that one is a direct setup for the final book in the trilogy. So even though I’m writing scenes for book two, I find myself making a lot of notes and expanding the outline for book three. After Mystic, I have several book projects I want to pursue. I’m not sure yet which one I’ll write, but I’m leaning toward working on a book I’ve codenamed “Hydra” which is a fusion of science fiction and fantasy featuring a colony on a distant planet where the humans are able to harness the planet’s native magic system. There’s a lot more to the idea, but I’ll save the fun details for later. Me: Thanks Jason for joining me today on this interview session. I wish you luck for all your future endeavors. 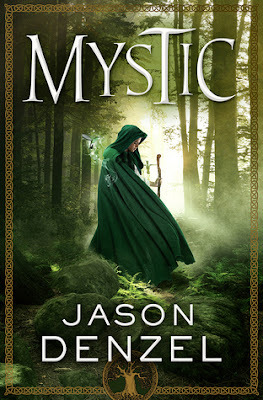 Jason: Thank you for your questions, and for your interest in Mystic! Be sure to let people know that they can go to my website, http://www.JasonDenzel.com for more info on all my projects. People are also welcome to email me and I’ll send them some bonus content which includes a deleted chapter from Mystic, and a sneak peek at Mystic Dragon. Jordan’s Wheel of Time saga. Since 1998, Dragonmount has been the web’s top destination for franchise-related news, features, blogs, theories, games, and discussion. Dragonmount.com has been featured in news outlets including USA Today, CNN, ABC, Wired, the Los Angeles Times, and Maclean’s Magazine (Canada). Jason sits on the Board of Directors for JordanCon, an annual convention held in Atlanta which celebrates the works and spirit of the late Robert Jordan. He is also on the Advisory Council for the Waygate foundation, a charitable organization which helps authors and other content creators raise funds for charitable purposes. He has independently consulted on the Wheel of Time film franchise, and was closely involved with the development of the final three Wheel of Time books. In 2013, Jason was a Guest of Honor at PenguinCon, a popular convention celebrating genre fiction and technology. 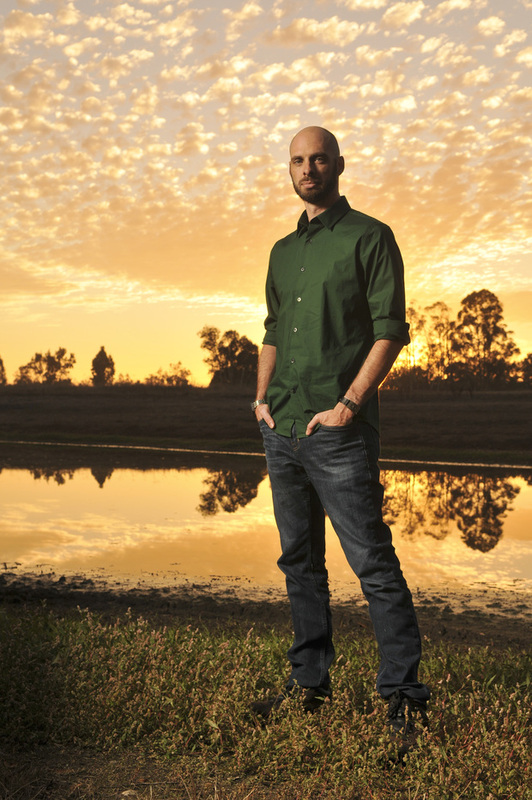 In addition to writing, Jason is an award-winning independent filmmaker. His trailer for The Towers of Midnight (produced in association with Tor Books) won three prestigious Telly Awards, including honors for cinematography and visual FX. He has won additional awards for entries in the 48-hour film festival and the Star Wars fan-film competition, and is currently working on a Kickstarter-funded short called Spectre, about an ancient sword with a mind of its own. In his free time, Jason studies Choy-Li-Fut Kung-Fu as part of the Plum Blossom Federation. He lives in Northern California with his two young boys, and owns a lot of swords and collectible fantasy artwork.